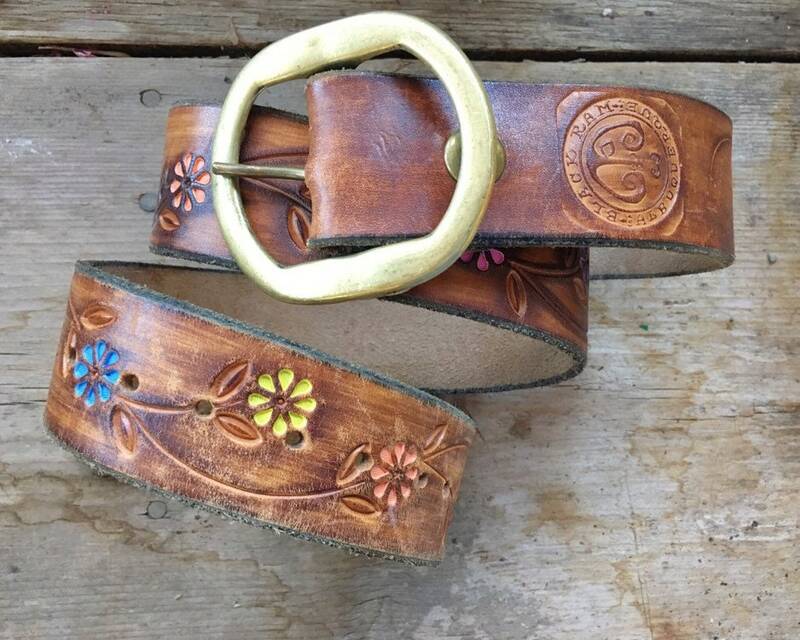 Here we have a belt that will take you back--not just because of how it looks but also because you can still smell the leather!--to roadtrips across the border, with or without your parents. 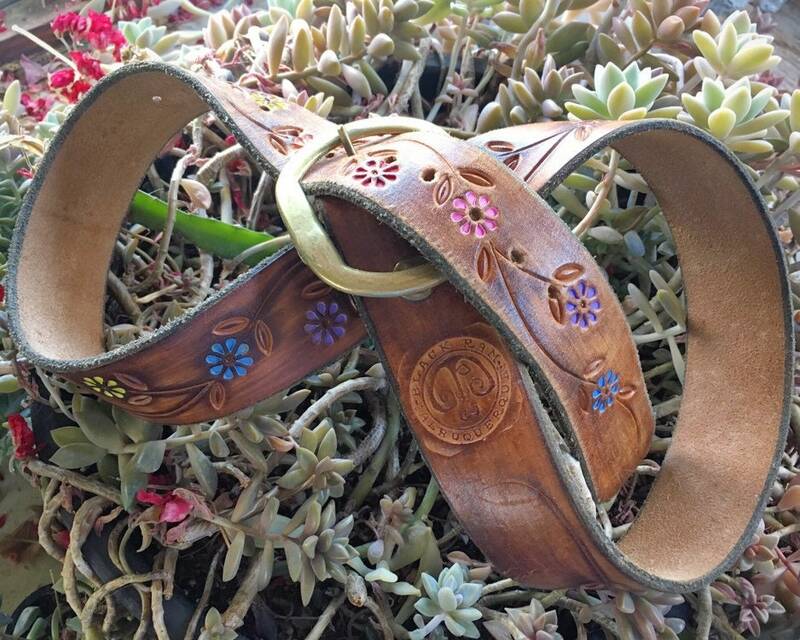 A 1970s hand-painted, hand stamped brown leather belt with removable buckle. 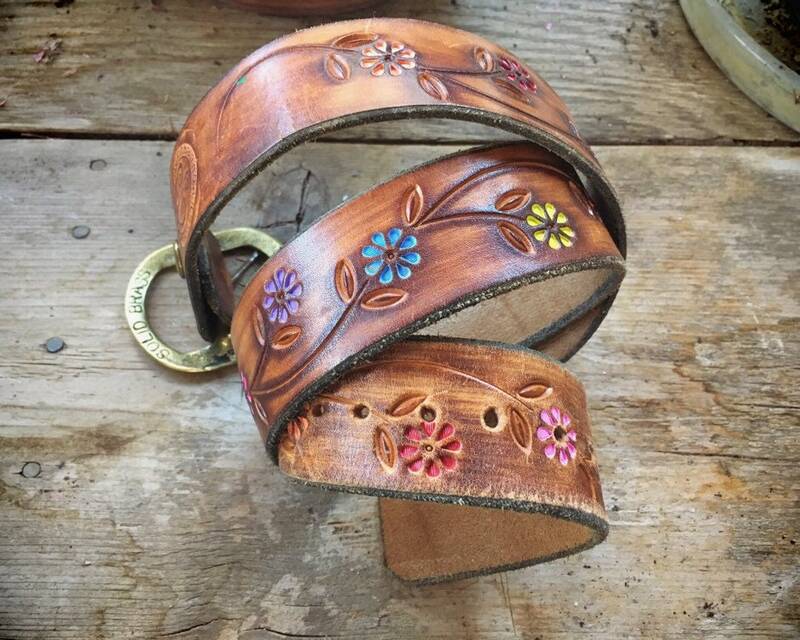 Daisy-like flowers in yellow, red, pink, blue, purple--this is a colorful belt!--are sprinkled along a "vine." And this isn't one of those tourist versions. 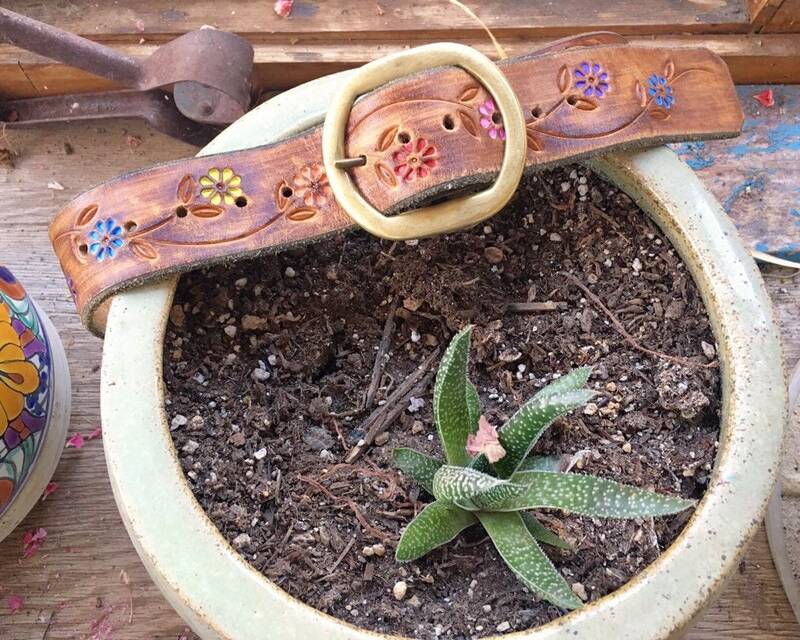 This one is made of high quality leather, supple, and by a now defunct Albuquerque artisan boutique called the Black Ram, which we know because their gorgeous logo is stamped onto the belt as well. 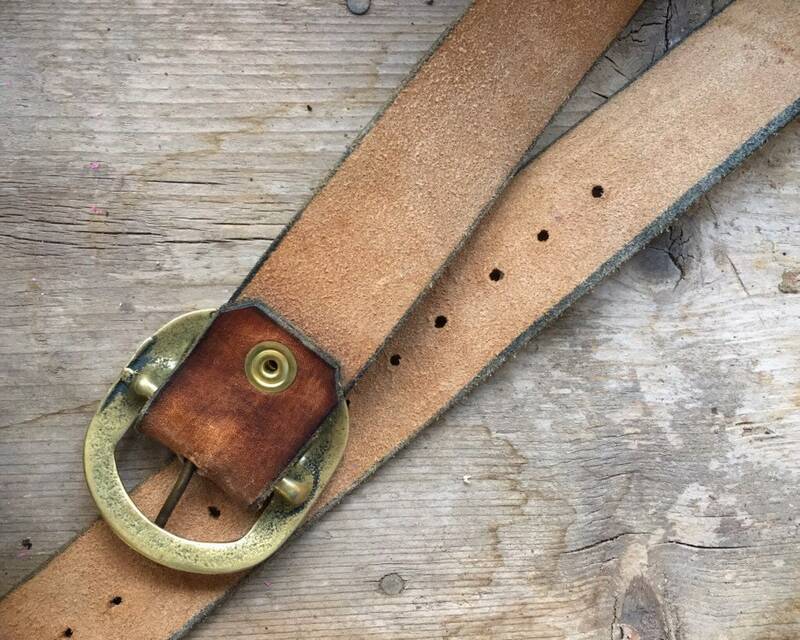 The belt measures 1-1/2" wide and measures just over 42" from belt buckle end to leather end. Measuring the leather belt for size, the first hole is at about 30" and the last hole is at about 38". So this is a versatile belt--unisex and for a waist between 30-38. The belt has a snap closure at the buckle allowing a change. 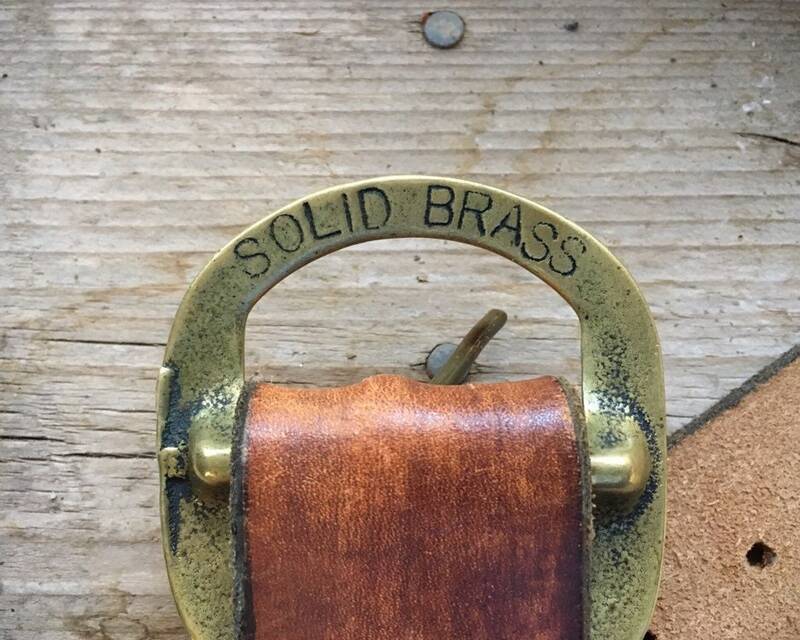 Original belt buckle embossed with the words "SOLID BRASS" on the back. High quality, authentic hippie boho.